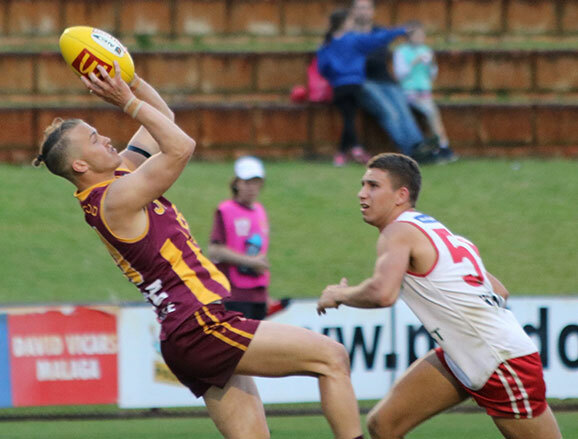 The 2016 WAFL season was historic with Peel winning their first premiership. That result, or more accurately, the make-up of Peel’s grand final team is likely to lead to changes in the eligibility of AFL-listed players in WAFL finals. But that’s another discussion. 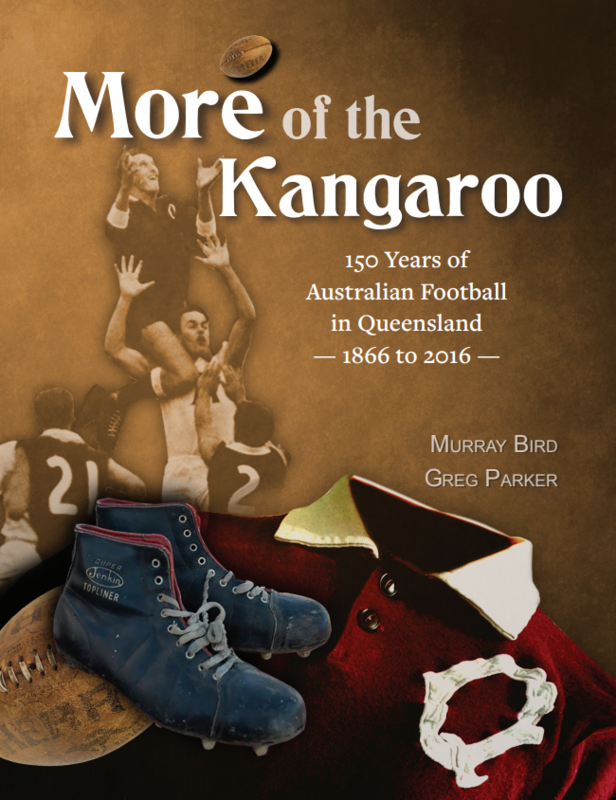 Right now AFL clubs will be thinking about the WAFL for another reason – the possibility of extracting readymade gems from this potentially rich recruiting ground. Last year in this space we made some suggestions for recruiters – some were hungrily gobbled up. 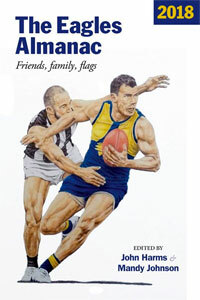 Marcus Adams slotted straight into the eventual premiership team and would have been there on grand final day but for injury. Sam Menegola became an important part of the Geelong midfield. Shane Yarran kicked 10 goals in six games for Fremantle after a late start due to injury. 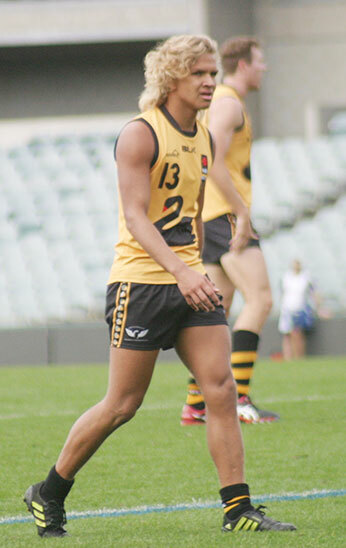 Nathan Broad played two games for Richmond. And Callum Ah Chee played 16 games for Gold Coast and kicked two goals in the Round 1 game against Fremantle that signalled that either the Suns were on the rise or the Dockers were useless. Turned out to be the latter. 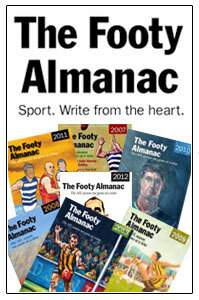 So, who’s worth looking at from this year’s WAFL teams? Let’s go team-by-team starting with the premiers. As an added bonus I’ll throw in some draft prospects from the WA 18s. Blair Bell: doesn’t get the ball a lot but wins lots of one-on-one contests. He marks strongly and is very versatile. Might be the best prospect of the lot. Josh Bootsma: Had a chance as the No 22 Draft choice in 2011 by Carlton and probably ruined it. However he has turned into a very reliable defender and kicks beautifully. 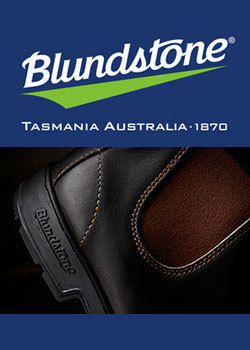 Word is he plans to move to the country next year (more country than Mandurah) so might have given up on the AFL idea. Liam Ryan: an exciting small forward from Geraldton who can take a big mark, has great goal sense and is a team player. Christopher Bryan: Made his mark in the finals. A hardy small defender with a few tricks. Aaron Heal and Declan Jackson aren’t the same player but I’ll put them together as smart and versatile defenders. Marlion Pickett: made a big success of a move into the unlikely role of key defender this year. His evasive ability is remarkable, he’s good in the air and his kicking has improved. He added another notch to his versatility pack when he went into the ruck with good effect in the preliminary final. Mason Shaw: kicked 50 goals in his return from an injury troubled time at Port Adelaide. Teams want key forwards but a poor finals series may count against him. 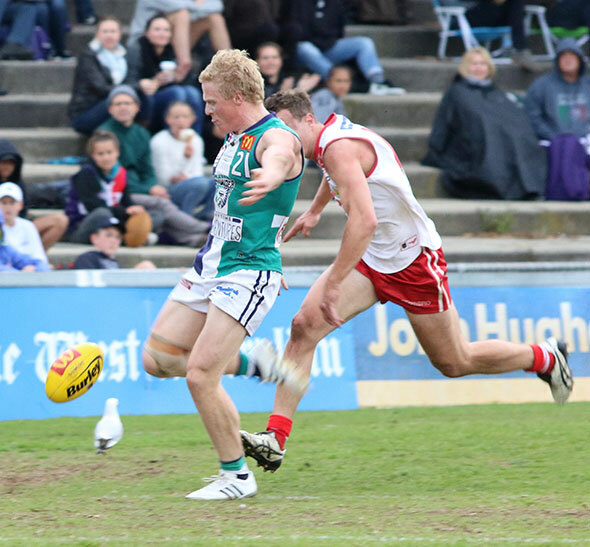 Luke Meadows: had a very consistent season and performed well in the WAFL vs Tassie game. Appeals as a reliable half back. Tom Gorter: strong left footed defender who was a local stand-out in the West Coast alignment team. 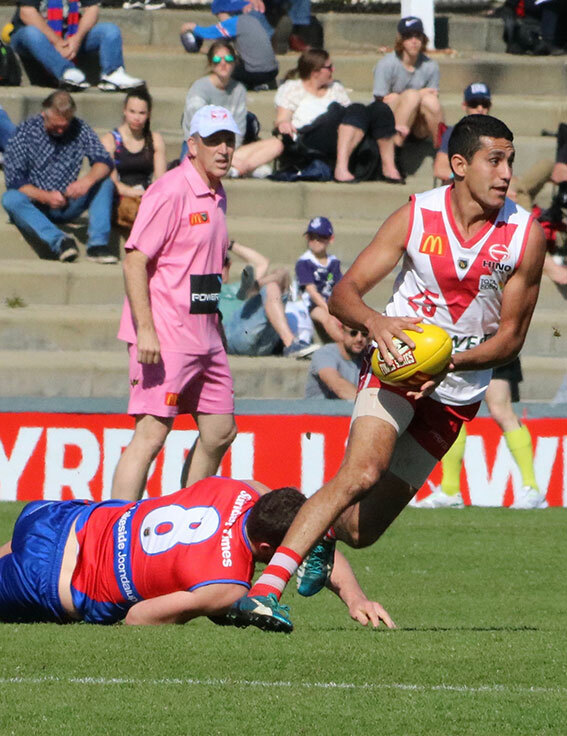 Sam Powell-Pepper is a strong-bodied midfielder who showed a bit at league level late in the season and kicked four goals in the colts grand final. It was amazing how the bottom fell out of East Fremantle’s season and it’s hard to see any of senior players appealing to AFL clubs. If they’d been picked up earlier George Hampson and Ryan Lester-Smith might have been alright but it seems the bird has flown. 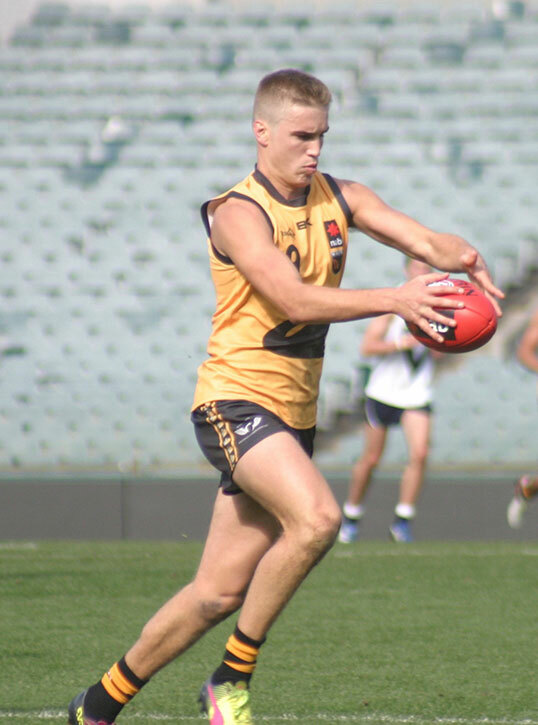 Luke Strnadica showed a bit as a tall forward for the WA 18s. Darcy Cameron: a big man who can mark and kick goals. Injury robbed him of a bit of momentum in 2016 but he’s full of promise and will be ready for the next step. Jye Bolton: The Simpson and Sandover Medallist couldn’t have done much more to stake his claim. His ability to overcome heavy tags shows he’s more than a freewheeler in the midfield. 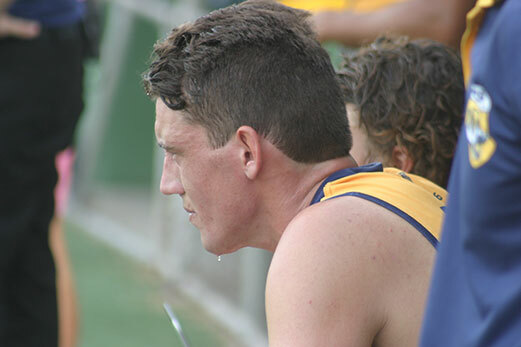 I still like nuggety midfielder Jared Hardisty, who had a very solid first season of senior footy in the WAFL, and well-organised defender Francis Watson whose season was stalled early by injury. Early draft certainty Sam Petrevski-Seton played three league games for the Tigers in 2015 but none this year. 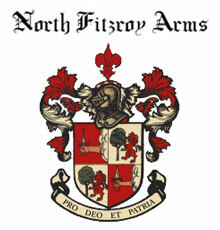 He will play AFL football in 2017. 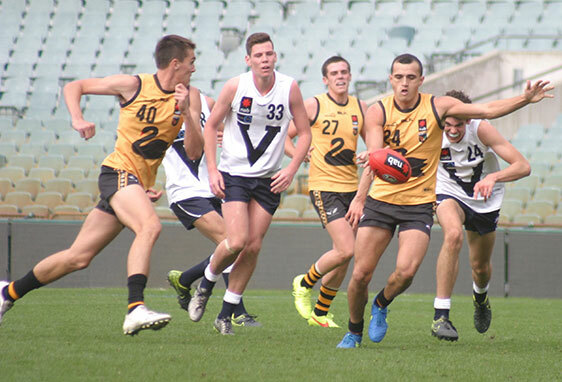 Other draft prospects include West Coast father-son candidates Jake Waterman, who was best-on-ground in the colts grand final and kicked five goals in his league debut this year, and Bailey Banfield who is a bit of ball magnet. Stoppage specialist Matt Guelfi played five league games this year. The Demons are improving and won’t lose any of the 2016 line-up to the AFL apart from draft prospect and 18s All-Australian Zac Fisher who made a great start to his senior career before WA 18s duties took over. I liked the look of Quinton Narkle in the WA 18s games I saw. He gets involved and makes good decisions. There are some interesting prospects at Bassendean. 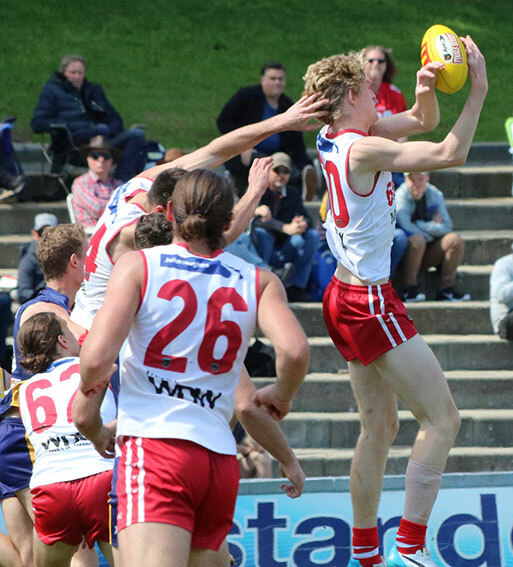 Griffin Logue played eight league games and is tipped to go early in the draft while Taryce Stewart and Laurence Grescos might have caught the eye.